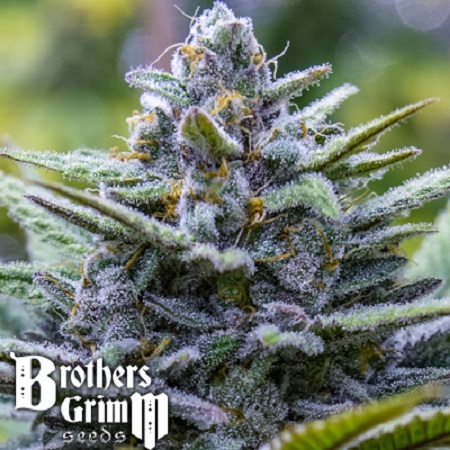 Crystal Blue Regular Cannabis Seeds by Brothers Grimm Seeds: This incredible strain flowers fast, and produces fruity terpenes on its fat, purple buds that sparkle with loads of crystal resin…. 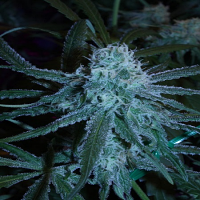 we call it Crystal Blue. These are big, bushy plants with purple leaves in the floral structure. 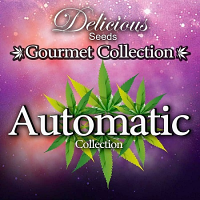 They will vary a bit in aromas, flavor and yield however, you’re sure to find an outstanding female – with a high yield, delicious flavor, and amazing potency… it really comes down to your personal preference. They all smell and taste great, as well as producing very resinous, large flowers. The high is very energetic and cerebral. 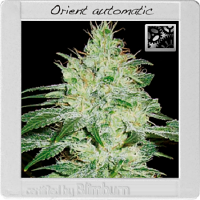 Great choice for growers who make extracts - the terpenes are amazing.